If you’ve not found a kiln wash that actually works, you have now! 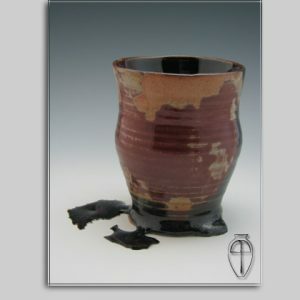 By works, I mean it doesn’t crack/flake if applied according to instructions, glaze runs are picked off the surface of the wash, and it goes on wet and comes off wet. No more grinding old wash off. 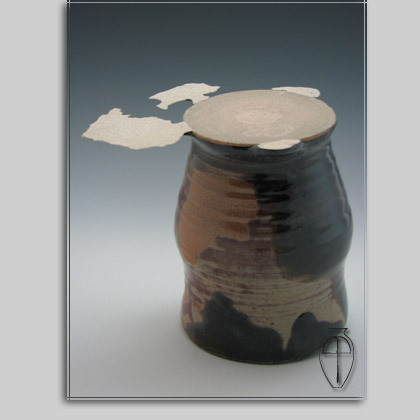 My kiln wash comes off a fired shelf with a putty knife and maybe a scouring pad once you wet the shelf. This will take it down to the bare kiln shelf. I’m on ^6 firing #32 with my Shelf Guarded Corelites with no trouble. You don’t re-coat after each firing. Just when it needs it. Sold in gallons and quarts. 1 quart is usually enough to put the initial 3 coats on 7-8 26″ 1/2 shelves so it goes a long way, coverage wise. I have customers put a 4th coat on after the initial firing. 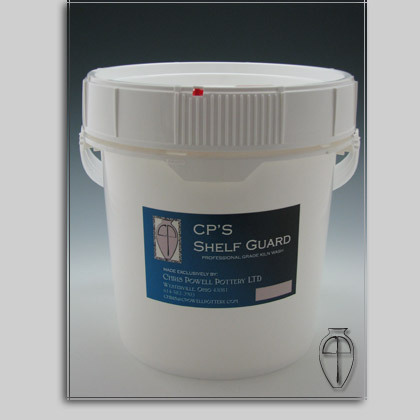 Get some and test your process using CP’s Shelf Guard. It is premixed so shipping is a little high. The last gallon I shipped to Wisconsin was about $17.00 to ship. You have the option to pick it up at the studio or have it shipped. Standard Ceramic in Pittsburgh (Ceramic Supply Pittsburgh) carries these products as well, if you’re in that area.